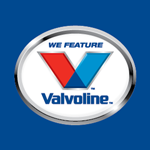 KWIK KAR LUBE & TUNE AMARILLO #1 of Amarillo provides fast oil changes, featuring high quality Valvoline motor oils and chemicals. We are located at 4400 S Coulter in Amarillo. Check out our oil change coupons for savings on your next oil change visit.